To join Alive Credit Union, go to our savings account page to apply for an account! You can also get more information on our How to Join page. In addition to paying no membership fee and getting access to a wide range of affordable banking solutions, you'll also get a slew of additional benefits and discounts. Below are just a few of the benefits you will receive as a credit union member. Because we don't have shareholders we have to answer to, we can give any profits we make back to our member-owners, in the form of better dividends rates. Our returns are better than many bank's rates because we give all that money back to you! As an Alive Credit Union member, you can apply for a variety of low cost loans, including auto, mortgage, home equity, and personal loans. We'll work with you to establish a repayment schedule that fits your budget and is both convenient and easy. Your Alive Credit Union membership qualifies you for low credit union loan rates. Save hundreds, even thousands, over the life of your loan. Plus, as an added benefit of banking with us, we'll discount your rate even more when you enroll in direct deposit. Alive Credit Union membership includes access to added loan protection programs, easily purchased through your loan. Ask about Guaranteed Asset Protection (GAP), Credit Disability & Term Life Protection, and Vehicle Service Contracts when you meet with your friendly loan specialist. Save time and money with our CAR GUYS. Let us assist you in locating the vehicle of your choice, and help you get the best price using our discount pricing agreements and long-time relationships with area dealers. It's about choice with your Alive Credit Union credit card. With multiple card options to choose from, including Rewards Cards, there's sure to be a Visa® credit card to fit your specific needs. 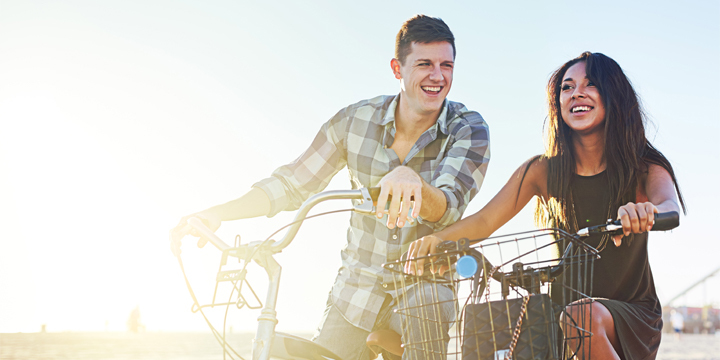 Your Alive Credit Union membership comes with a variety of personalized benefits. Learn more about insurance solutions about the discounts you can receive and save money with affordable, tailored insurance solutions. Alive Credit Union offers complimentary financial education workshops for our Select Employer Groups (SEGs). The sessions are conducted on-site at your place of business for your convenience and to encourage participation. Make an appointment during your birthday month for a free credit report review and receive a free copy of your report, your score and analysis along with a $5 deposit into your account. Plus, you will also be automatically entered for a chance to win a $25 gift card! Joining Alive Credit Union gets you more than just great accounts and better rates. Learn more about all the benefits of credit union membership, including special discounts on cars, online shopping, wireless services and much more. Go to LoveMyCreditUnion.org for more information.